As I was getting ready to publish this blog, I realized that every one of these books is a sequel. Three of them are the final in the series, but the other two are in the middle somewhere. And the book I am reading today is also a sequel. I have to tell you - that drives my son crazy - sequels that is. He prefers his books to be singles. I think he really doesn't like series because he is so impatient for the next one. He and me daughter always snatching books out of my ples of reading. The two of them read faster than I do! So here are some pretty great sequels for you and your students. I just returned from the ALA convention, where I spent almost every minute in the exhibit hall and came away with dozens of ARC's to read this summer. I actually read two while I was on the plane. So please bear with me as I read like crazy and then type when I feel like it. Let me just put in this note - Stephanie Meyer's New Moon is not to be missed! Greetings to my roommate Mary! Thanks for the great time and thanks for putting up with my early nights. 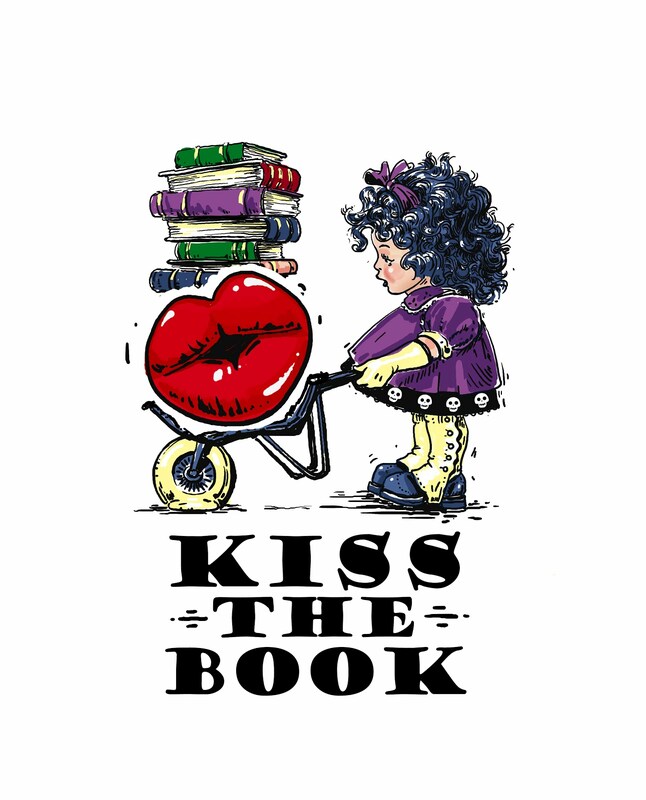 And many thanks to the vendors, editors, authors and marketers that made it all so much fun to be there. 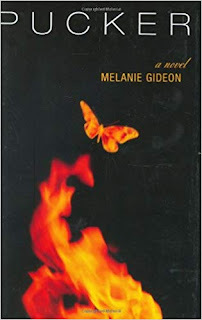 Gideon, Melanie Pucker, 273 p. Penguin Putnam, 2006. Thomas and his mother fled their world nine years earlier - after Thomas was badly burnt in a fire. Even without her Seerskin, Michael's mother has visions which help pay their way on Earth. Now, though, she will die without the skin - the visions are driving her insane. So Thomas undertakes the journey back to Isaura, knowing that he will be healed, but also that he must give up everything to return to save his mother. I was faked out by the title and the cover, but still enjoyed the reading. The book has a few swear words (but one of them is "F") and a couple of breast mentions (which TOTALLY could have been left out), which leaves this out of the middle school definitely - you high school people will have to choose for yourselves. Should be a big hit in the public library, though. 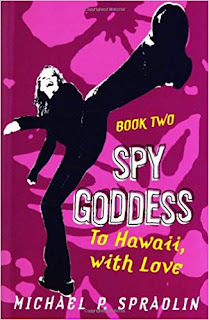 Book Two of the Spy Goddess series. Rachel is still not convinced that she is the goddess Etherea come to life, but Simon Blankenship, Etherea's immortal enemy reborn, is still trying to capture and use her. Rachel and her group discover another of Mithra's artifacts is hiding in Hawaii. When the kids are left behind, Rachel engineers the kids' means to follow - landing herself in a whole lot of trouble (many times) and endangering her friends' lives. Spradlin hits the spoiled rich girl tone of voice in Rachel dead on and creates a not-too-campy romp that very nicely mixes spy novels with fantasy. Lest anyone think I've made a typo in the title, I really did read a book about about insects yesterday! So - bad me. I went off to Hawaii with my family and didn't post one single day. Of course, I didn't bring any YA books with me - only my not-so-secret vice - trashy romance novels. There was way too much fun stuff to do - so reading wasn't really in the equation much. It was great to be back on Oahu. I spent one year of college at BYU-Hawaii, so I dragged the family to the Polynesian Cultural Center and we also spent a day on Sunset beach - the BEST sand in the entire world! By chance there was also a children's literature conference going on on Maui - Karen Hesse and Jerry Pinkney were there - but I had no idea until I talked to another librarian in the airport. There was a great spread about it in the local paper, however. So. I'm home for a few days before ALA (YEAH!). I'll see how much reading I can get in. For now its grocery shopping, laundry and catchup with the mail! A new novel - the author's first - will have "Hatchet" fans running for the shelves! Meet my summer book review website! Nothing on here yet, but stay with me and the reviews will start rolling in. I normally have my reviews on my school website, but during the summer months I do not have permission to FTP. Which is really too bad, because I always read ALOT of books during the summer. So, to keep my readers up to date, I have created this spot for the summer. We'll see how it goes! Hopefully the school computer doesn't crash and it will be up!